Oh London, what a summer it’s been so far! 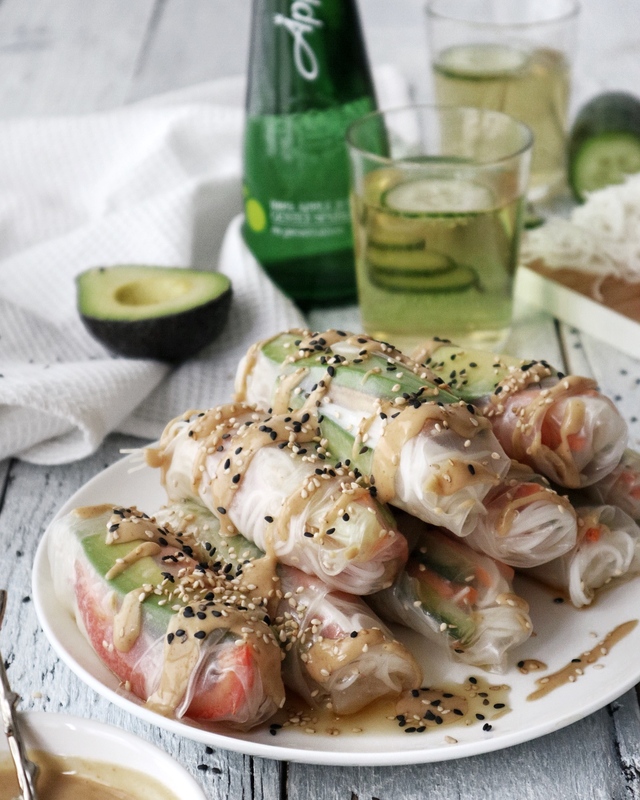 The more a reason to finally head out on an amazing picnic in the park – and just so that my creative head is at its peace, why not combine it all with a trip to the kitchen to create some tasty meal-on-the-go to take along? 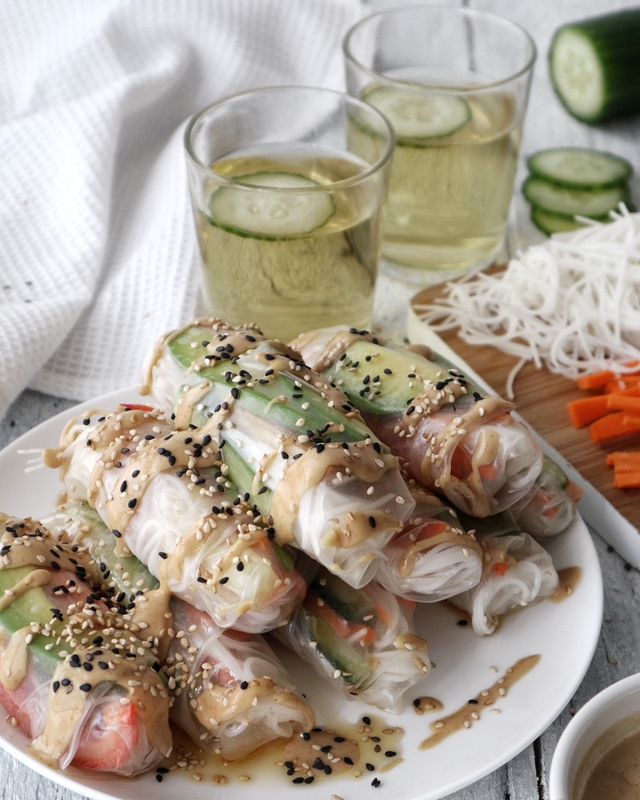 I have been overly obsessed with summer rolls lately – oh and I can’t believe that it’s taken me nearly 30 years to finally make these myself (hello 2018, we have arrived!) I love drizzling toasted sesame on the top and dipping them into a tasty satay sauce. My mouth is already watering whilst typing this, not even joking. 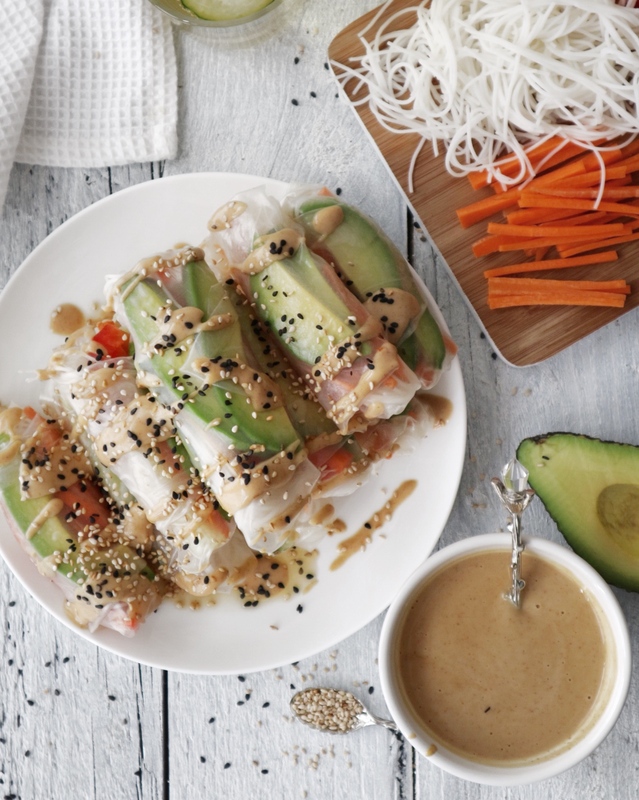 These delicious summer rolls are perfect for picnics as you can easily transport them in a Tupperware or similar and they are fine to stay outside of the fridge for a couple of hours. But no only that: they’re also containing heaps of goodness with all the veggies that are involved & also give the freedom to choose your favourite veggies (see below which are my favourites!). So let’s get going and WRAP IT UP! 1. Get chopping away! 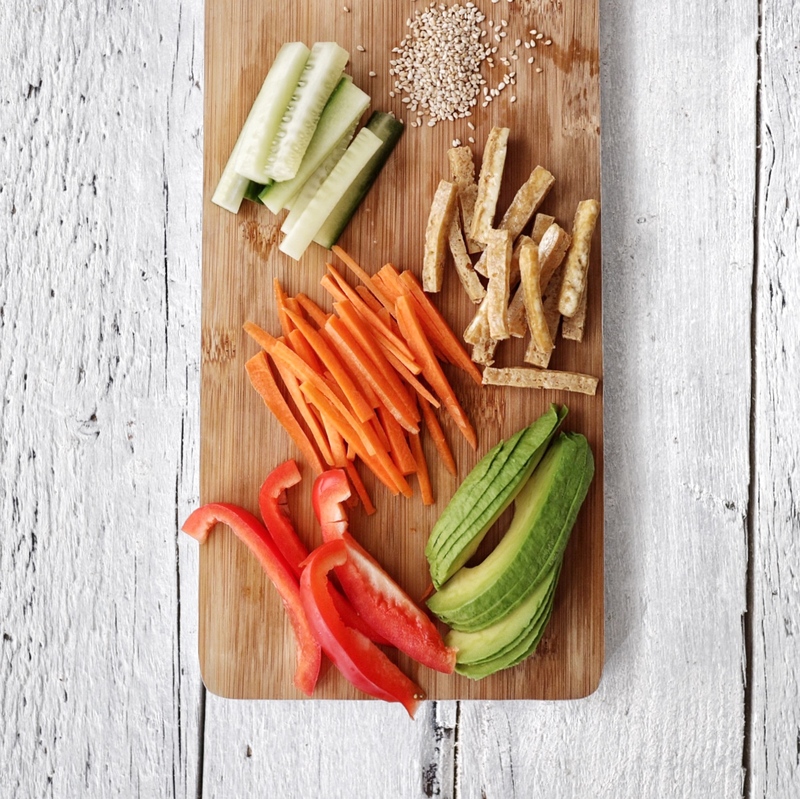 Wash and cut all your veggies into long, thin strips. 2. Boil 2 cups of water and place it in a medium sized bowl along with the rice vermicelli. Let them soak until tender, then drain the water. 3. Prepare the satay sauce by placing the peanut butter, soy sauce, toasted sesame oil, ginger powder and Apple Cider Vinegar in a bowl. Whisk with a fork until the peanut butter is broken down and the sauce smooth. Add a little water as you go along until you receive your desired sauce consistency. 4. It’s assembly time! Hold a rice wrapper under running water, then let the excess water drip down and place the wrapper on a chopping board. 5. Add your fillings to the middle of the bottom half of the wrapper. 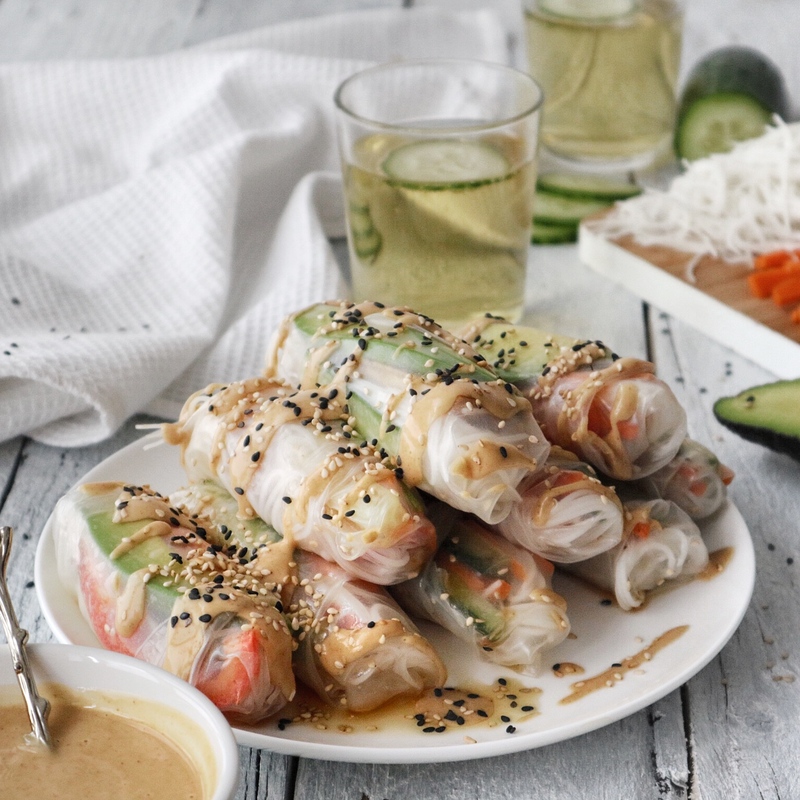 We started with the avocado, then added the cucumber, carrots and pepper on the top and finishes with a spoonful of rice vermicelli. Whilst you are adding the filling, the rice wrapper will soak up the water from the tap and become soft. 6. 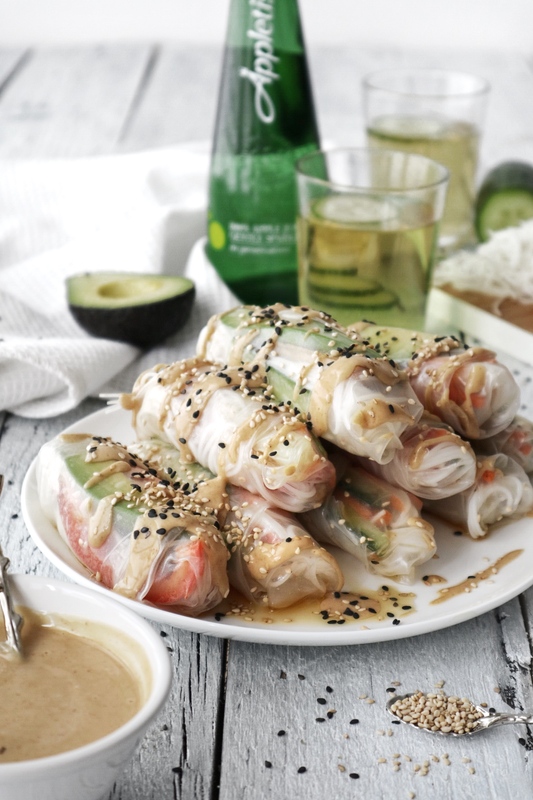 To close the wrapper, first fold in the sides over your fillings, then hold them in place with your ring fingers whilst you carefully roll from the bottom to the top until your summer roll is closed. Gently press the edge of the rice paper, then place on a separate plate. 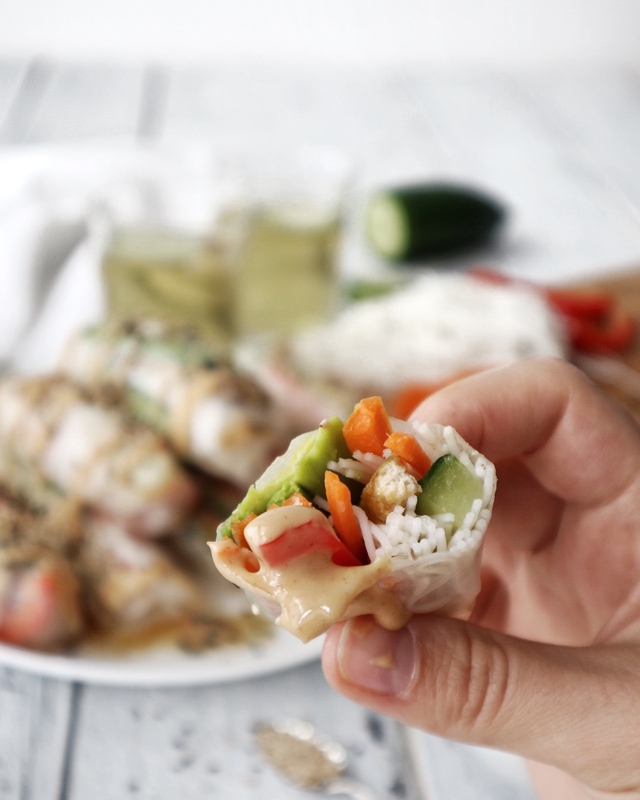 Repeat until all rice wrappers are used up, or you run out of veggies to fill them with. 7. 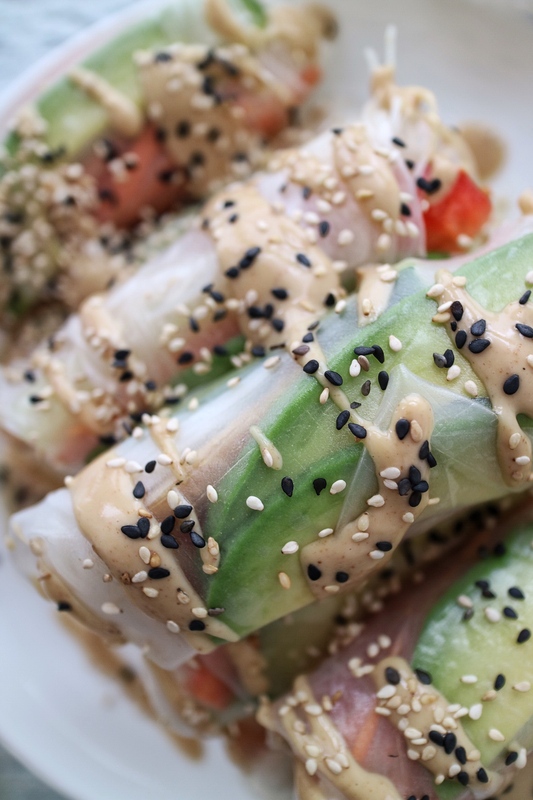 Drizzle a little satay sauce on top alongside some sesame seeds, then place the leftover sauce in a small bowl for dipping & get munching away! 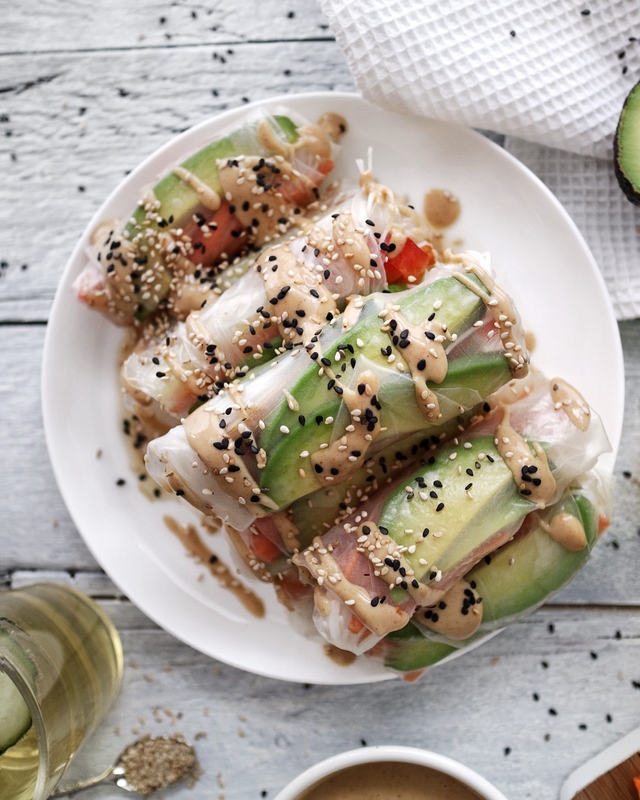 Pro Tip: if you’re heading out and want to take these along, simply store the sauce in a separate container and drizzle or dip the rolls in upon consumption. ENJOY! In friendly collaboration with Appletiser.